The mattress series ECONOMY Pocket collection combines the simplicity and economy with the high elasticity resulting from the independent springs. They offer orthopedic support, softness and comfort, and are manufactured exclusively by ORION Strom. The raw materials use for the construction of mattresses are from leading international factories. 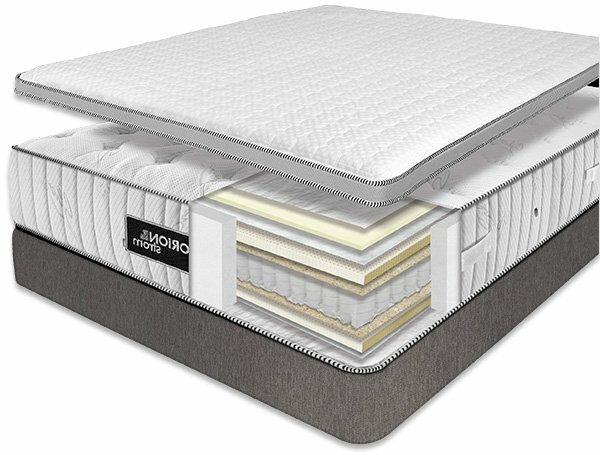 The simplest option in its class, the Basic Pocket anatomical mattress is the immediate and economical solution for an extra mattress considered for sparse use. It has pocket springs that offer the ability to follow your body movements for better fit during sleep, especially when two people are on it! Basic Alpha Pocket is a mattress ready to offer an immediate and affordable solution. The most important is its ability to fit correctly to the body, because its independent Pocket Springs with a metal frame can adapt to body movements at the same time as ensuring proper perimeter support. Includes zipper for easy cleaning. With the addition of coconut, Basic Extra Coco Pocket acquires elasticity and better behavior for body temperature. It has Pocket Springs with a metal frame for better body movement and more robust perimeter support. You can check the interior very easily, since it includes a zipper. It is vented to better reactions against annoying elements of the atmosphere that threaten to burden it. The Best Pocket Anatomic Mattress with independent Pocket Springs with metal frame gives emphasis on simplicity. The outer velvet fabric casing offers satisfying body feel and a softer feel for the skin. It has a ventilated structure to keep it fresh and is anti-allergic and friendly to man and the environment. Providing a smoother feel with the addition of foam, the anatomical Best Extra Plus Pocket mattress is an extra effective and simple choice as a mattress with independent Pocket springs with a metal frame. It has the ability to adapt to body movements so you can enjoy better fitting as you rotate your body, also enjoying proper perimeter support.